Hi! Please join us in working together this Saturday afternoon. Bring your coding projects and questions. All skill levels are welcome! Invite anyone you know who has coding projects or even online learning they would like to do. All are welcome. 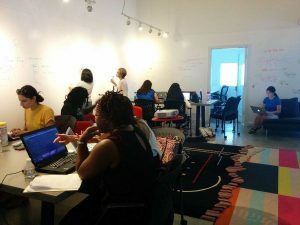 We are looking to provide a friendly and helpful environment to ladies who code or are learning to code.